I stopped by one of my favorite stores, Teavana to pick up a new tea for my Christmas Tea Luncheon! I enjoy browsing and seeing all the new things and the beautiful teapots, tea cups and mugs! I spent a lot of time in there chatting with the friendly lady who works there. She shared her story with me and I left not only with some delicious new teas but feeling blessed to have crossed paths with a beautiful person! 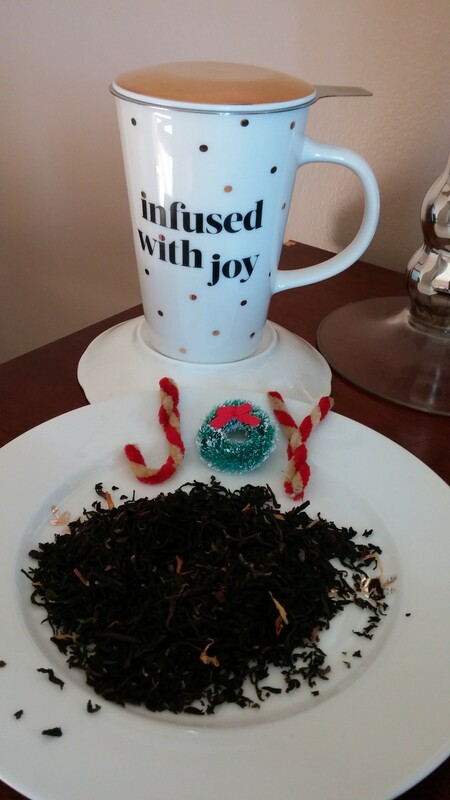 The new Joy 2015 tea is a delicious blend of 2 black teas, 1 green tea and notes of apricot. It is comfort in a cup! If you are not a fan of apricot like me, you will still enjoy this tea! The apricot is subtle and to me does not have an apricot taste. I also picked up an Herbal Lemon Ginger Tea. Perfect light tea! Great in the morning and in the evening. Awesome little pick me up gift for someone not feeling well too! 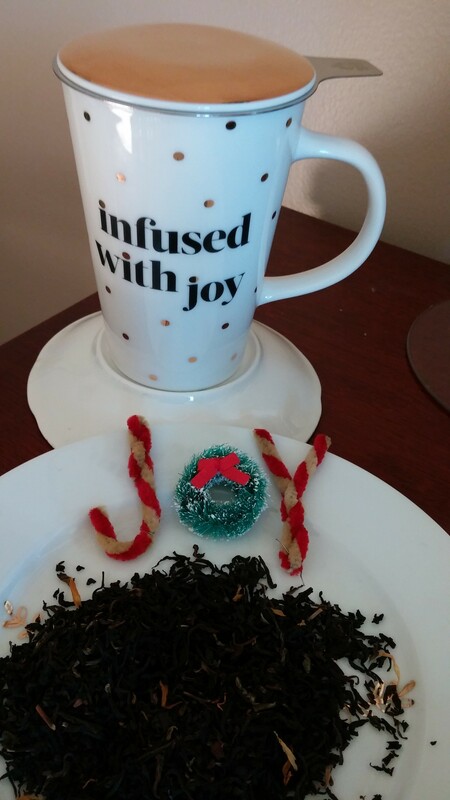 I could not walk away from this beautiful tea mug that says Infused with Joy! Teavana is a great place to go for Christmas shopping for the tea lover on your list!